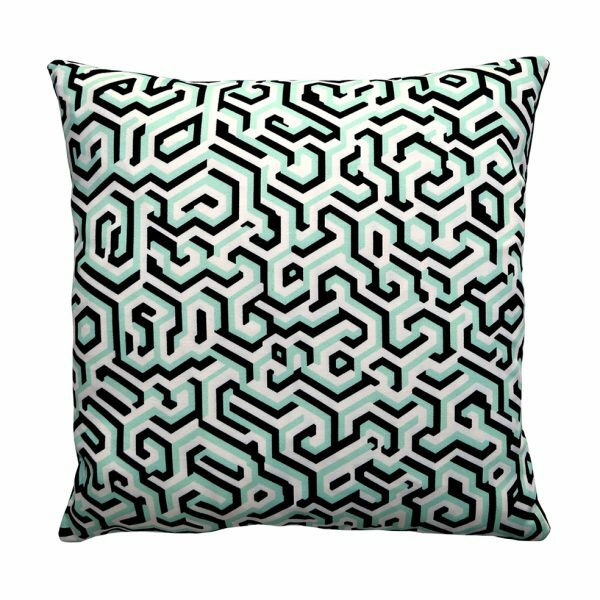 Inspired by the geometric forms found in architecture ‘Maze’ is one of One Nine Eight Five’s latest prints. 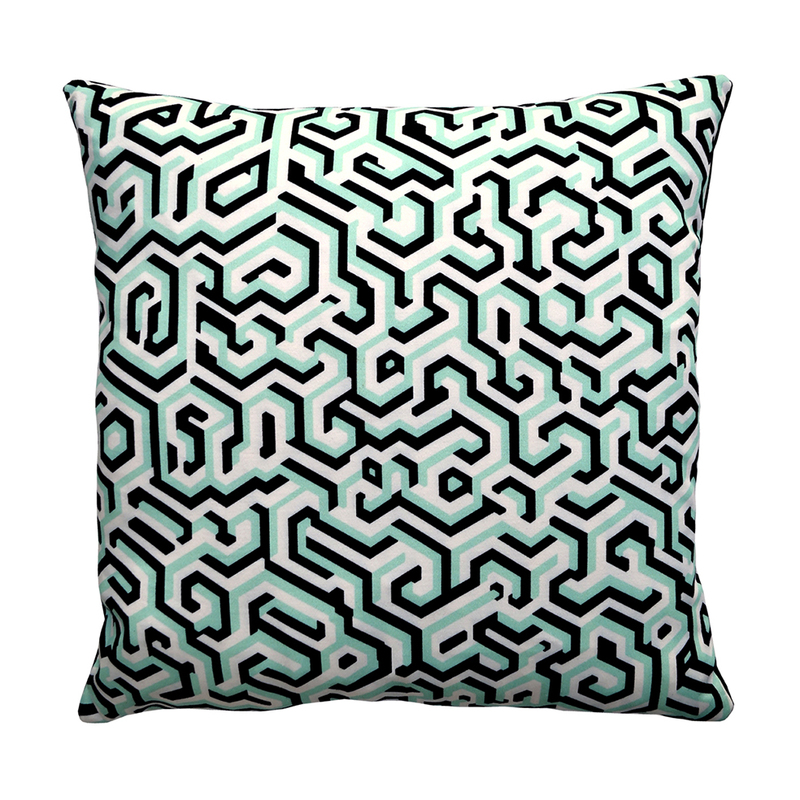 This printed British velvet cushion features a palette of jade, black and white. 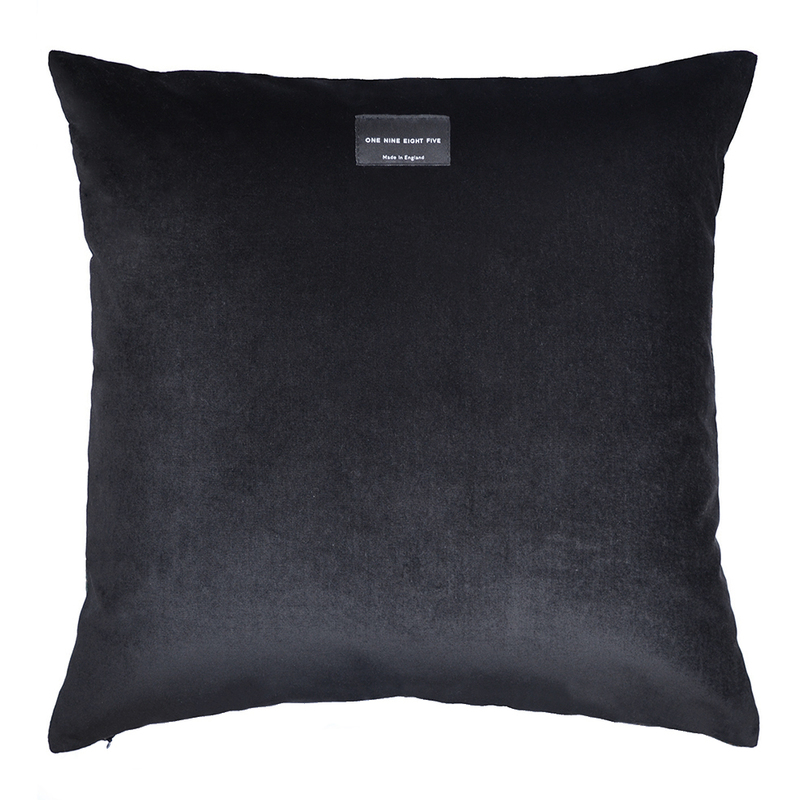 Available in a printed cotton satin or printed cotton velvet front, both come with a black velvet cotton back.